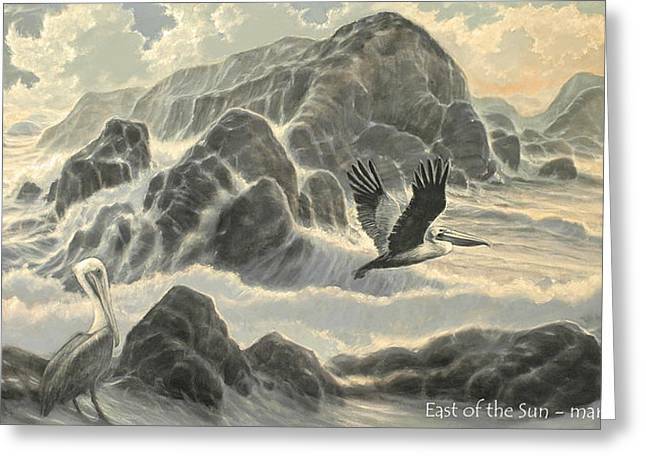 East Of The Sun is a painting by Marte Thompson which was uploaded on October 7th, 2010. 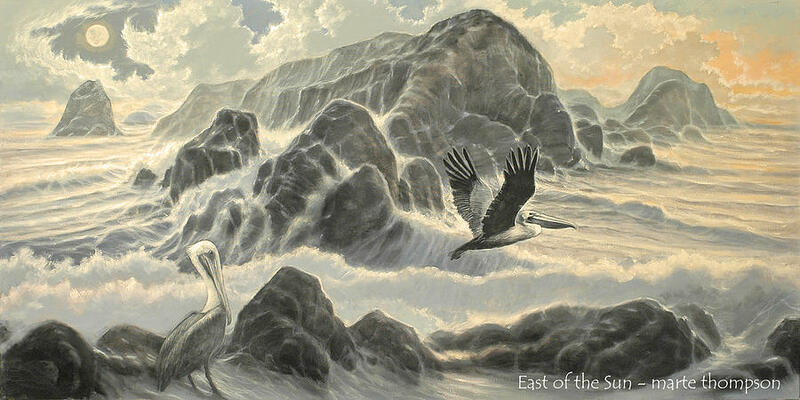 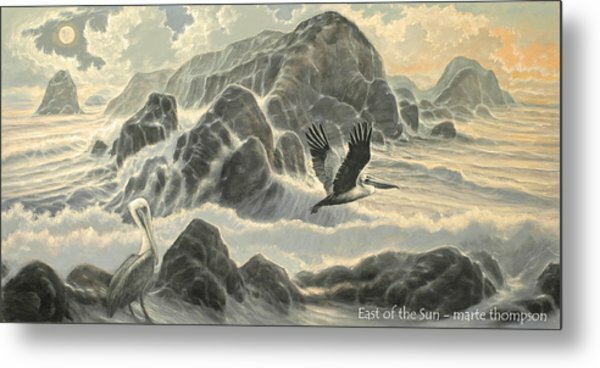 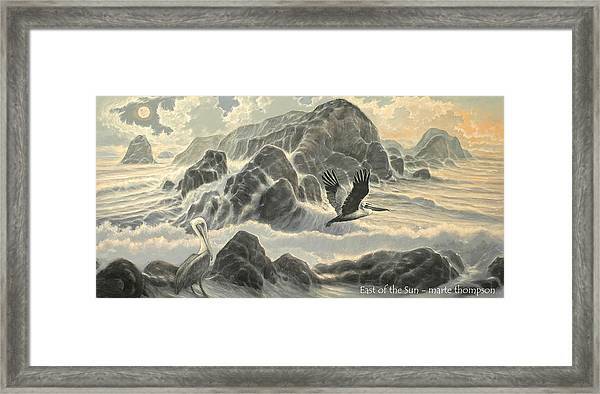 This is a painting of a rocky shoreline with pelicans. 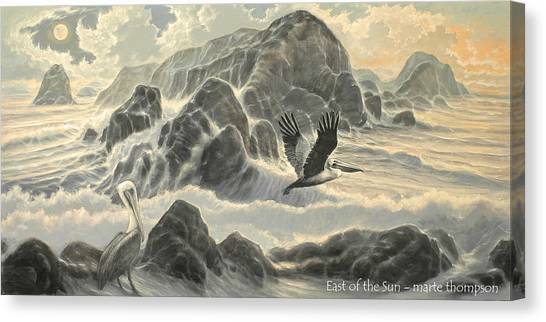 You create a very special and lovely soft atmosphere in all of your paintings Marte, I really envy that.